Sunday is meant to be a day of rest and leisure. 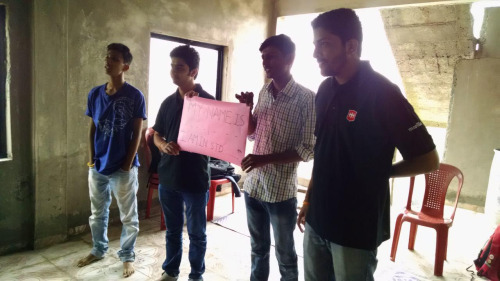 But it was this Sunday when the Mozilla Nashik team went to an Orphanage in Trimbakeshwar to do some thing good!! 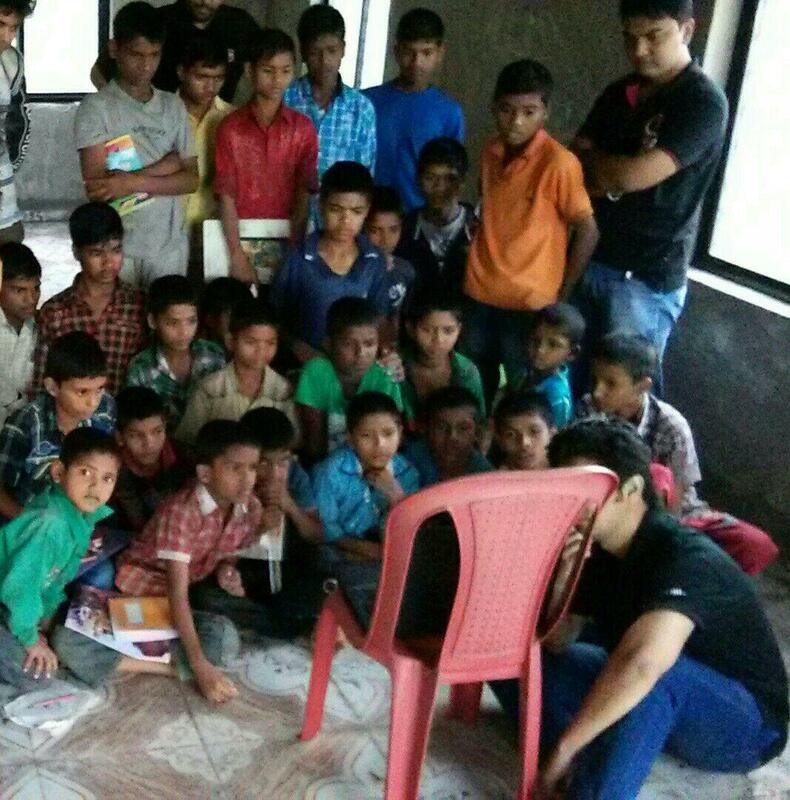 This kids belonged to an orphanage, which was located in Trimbakeshwar around 30km from Nashik city, this kids had never used a computer before. So we started by telling the kids to introduce themselves in English, so to help them we used a chart paper and wrote “MY NAME IS _____ AND I AM IN STANDARD _____” and told the kids to read it. 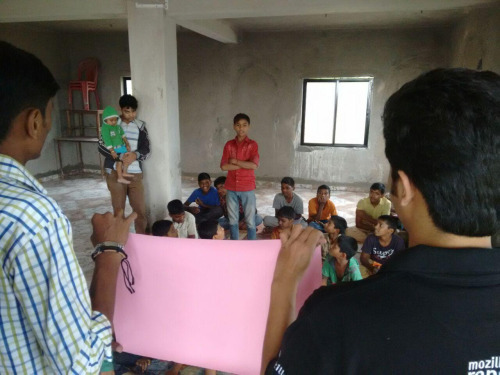 Hence, we asked the kids what they aspire to become in the future and got interesting answers from them!! some of them wanted to become police man, engineers, doctor, teacher and some of them also wanted to join the military!! Now it was time to show them a small SAND ART MOVIE ON APJ ABDUL KALAM 🙂 our former president, this video motivated the kids to study hard and how we can achieve our goals!! In future we are planing to have a full day computer session for this kids were they will learn to operate the computer and also teach them how to access the internet, Lo-Fi activities, and also webmaker tools (Hands on). Great Job guys!!! I love the way the kid is humbly holding his hands together and eagerly learning and love being taught. Keep rocking and teaching!